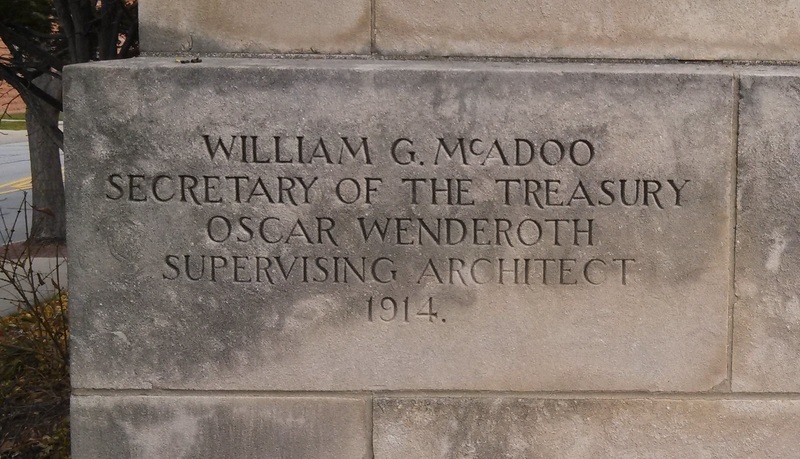 This government building was built by Oscar Wenderoth in Urbana, IL, and completed in 1914. This post office was designed by Oscar Wenderoth and was completed in 1914. It succeeded the North Race Street post office. 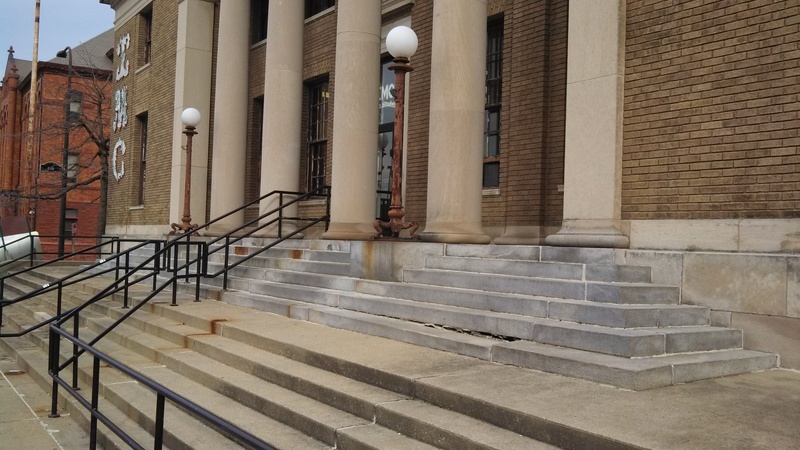 This post office was in operation for 8 years and was designed by Joseph W. Royer. 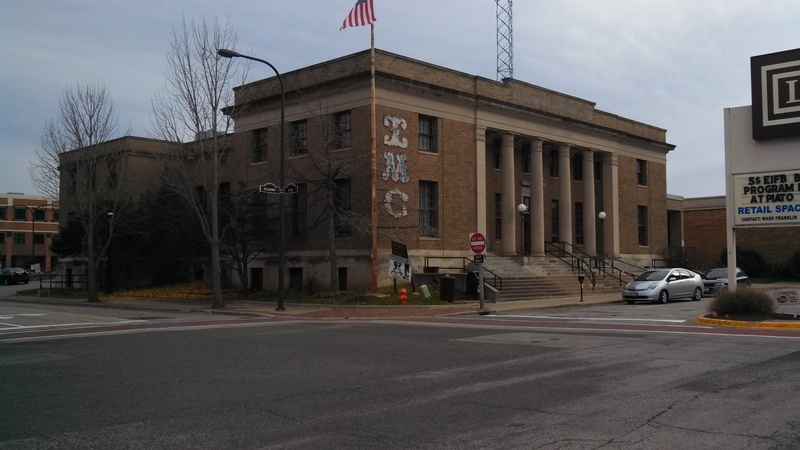 Now, the building is used by the Independent Media Center while still functioning as a post office in parts. The building cost $100,000 to build in 1914. The building was built during a period where all public buildings were designed by the Treasury to ensure standardization. This lead to public buildings having a constant Neoclassical design. 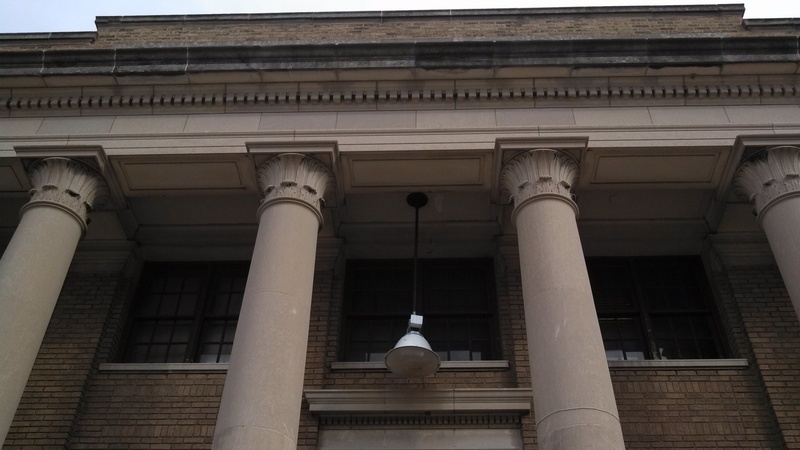 This is shown in the Urbana post office through its nearly colorless brick, symmetric façade, monumental front stairs, the four Corinthian columns, and the frieze and cornice decorated with dentils. This building was constructed because the old post office was not large enough. 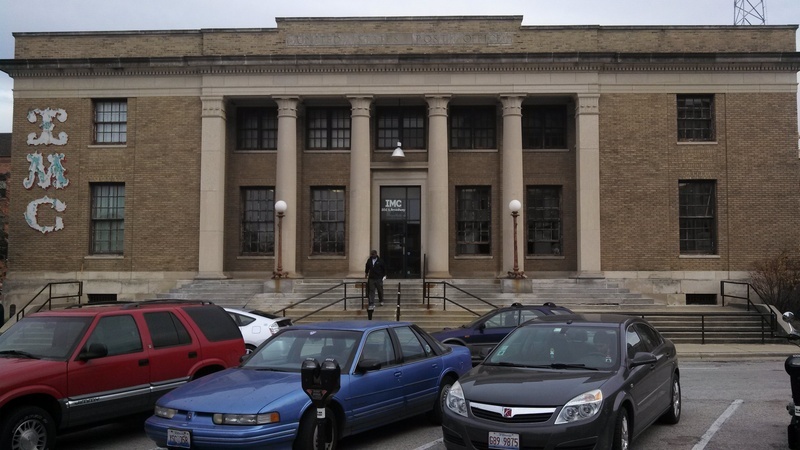 The Urbana Post Office is a 2 story, public building used as a post office as well as an independent media center. 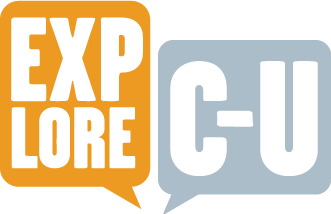 According to their website, “the Urbana-Champaign Independent Media Center is a grassroots organization committed to using media production and distribution as tools for promoting social and economic justice in the Champaign County area. We foster the creation and distribution of media, art, and narratives emphasizing underrepresented voices and perspectives and promote empowerment and expression through media and arts education." Oscar Wenderoth attended the Franklin Institute Drawing School for two years in 1888 and 1889, where he took classes in freehand drawing. Directly out of school, Wenderoth continued his education with many apprenticeships in offices of leading architects in Philadelphia. In 1897, he became a draftsman for the Office of the Supervising Architect, where he continued progressing in skill until he became the Supervising Architect of the U.S. Treasury in 1912. Salazar, Andrew, Han Yang and Matthew Horton, “Urbana Post Office,” ExploreCU, accessed April 19, 2019, https://explorecu.org/items/show/306.